Earn “Reward Points” on every purchase from CleanCraft or CWS-Direct. The more points you earn, the more money you get back. Get 1 Reward Point for every $1.00 you spend*. Whether your purchases are through CleanCraft or CWS-Direct, it doesn’t matter. 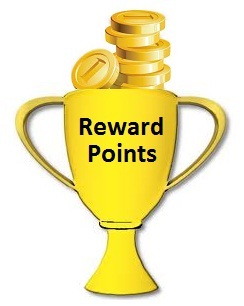 You receive Reward Points that can be cashed in for $$ credits towards purchases at either CleanCraft or CWS-Direct. Note: It may take up to 1 week for reward points to register online. So, if you just placed an order, your reward points may not be registered yet.